Blushingly Blonde: Look on the bright side - It's SUMMER!! Look on the bright side - It's SUMMER!! 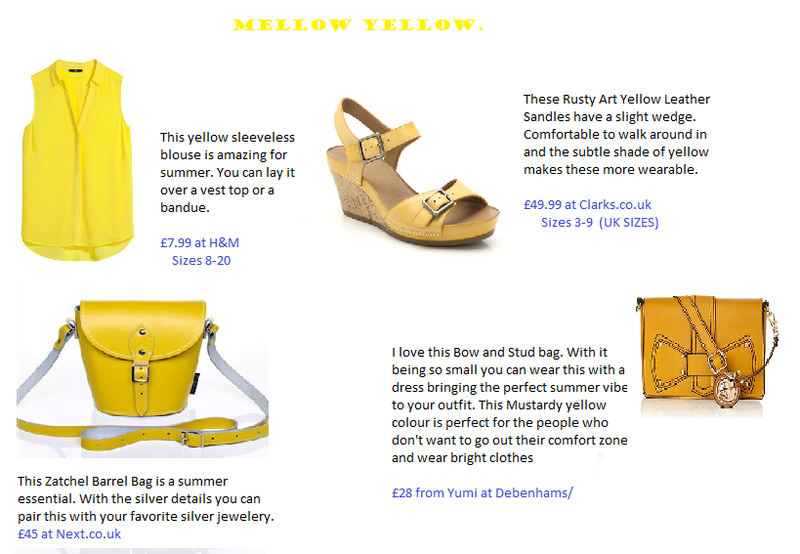 How about wearing some Yellow this summer? These items stood out to me, hope you like these pieces. Comment below any other yellow items which you think other people would enjoy.